Entrepreneurship creates opportunity. It is a key to unlocking economic growth, creating jobs, and empowering populations. Some of America’s most renowned luminaries are U.S. entrepreneurs. For example, Bill Gates, Oprah Winfrey, and Mark Zuckerberg are recognized around the world for their accomplishments. Entrepreneurship is part of the American culture that we can freely share across international boundaries. Societies that learn entrepreneurial principles can come up with solutions to local problems. These solutions can foster inclusiveness, grow economies, promote stability, expand the international supply chain, and spread the exchange of ideas. The U.S. government runs numerous programs that promote economic and social entrepreneurship around the world. This year, that commitment to fostering entrepreneurship, innovation, and economic prosperity will be reaffirmed at the 2014 Global Entrepreneurship Summit. This fifth annual Summit will convene thousands of participants on November 19-21 in Marrakech, Morocco, and will highlight the impact of technology on modern entrepreneurship. The 2014 Summit takes place during Global Entrepreneurship Week, making it the largest of the thousands of entrepreneurship events taking place around the world that week. The theme of the Summit, “Harnessing the Power of Technology for Innovation and Entrepreneurship,” explores the positive impact of technology on innovation and entrepreneurship. Technology presents entrepreneurs with enormous opportunity. It gives them the power to reach beyond local communities and to tap into resources and expertise in other cities, countries, and continents. From using the internet for crowdfunding, to text messaging for real-time weather information, to collaborating in online chatrooms, technology is changing how entrepreneurs do business. 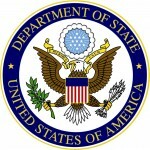 The 2014 Summit marks the fifth year of continued U.S. commitment to promoting entrepreneurs through this forum and the first time it is being held in Africa. The original Summit was hosted in 2010 in Washington to identify ways to deepen ties between business leaders, foundations, universities, and entrepreneurs in the United States and Muslim communities around the world. In subsequent years, the Summit has expanded to be a global event, hosted by the governments of Turkey, the United Arab Emirates, and Malaysia. This year, the Government of Morocco has graciously opened its doors as the host, showing its shared commitment to promoting entrepreneurship in Africa and around the world. For more information about the 2014 Global Entrepreneurship Summit, please visit http://gesmarrakech2014.org.